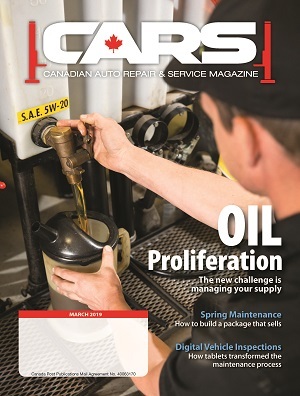 This is the last in a series of article on changing vehicle technologies – exclusive to the AutoServiceWorld Knowledge Centre. 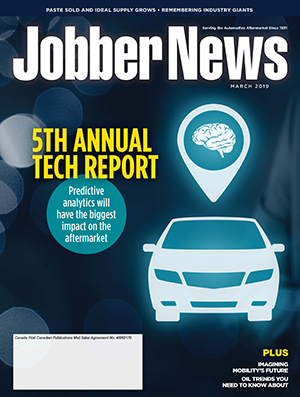 Award-winning tech writer Jeff Taylor offers a look at some of the latest innovations in the automotive world, how they work, how they’re evolving, and what they mean to the aftermarket. The parts and pieces needed to create the autonomous vehicle are almost here. There are cars that can drive by themselves in traffic and have an autopilot that will drive them on the highway, cars can stop and park by themselves and detect vehicles in blind spots that the driver can’t see. The issue is putting all the correct parts and pieces together with the correct software that will allow a full autonomous vehicle to drive in most situations. Self-driving vehicles are going to have a major impact on the business and operation of just about everyone in the automotive industry, or for that matter, anyone that drives. It will affect everyone from the commuter spending less time driving after engaging an autopilot, to the taxi driver maybe not having a job, to the truck driver that can sleep while driving without needing to stop. 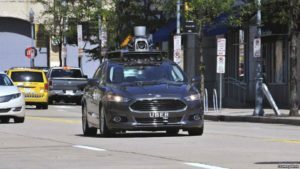 Tech’s doing repairs and the people supplying the parts are also going to feel the effects of the self-driving vehicle, and they will need to adapt quickly to the changes that are coming. The circumstance creating this sooner-than-you-think reality starts with sensors and powerful computers that are not only cheap but dependable. Other factors, like Google and Tesla’s progress in autonomous technology, has made the major car manufacturers take notice. Ford now offers more than 30 semiautonomous driving features. GM announced a $500 million investment in Lyft to develop an on-demand self-driving car network and then invested in Cruise Automation, a self-driving startup company. Toyota partnered with Uber, Fiat Chrysler partnered with Google to create 100 self-driving Pacifica’s, and all this happened this year. 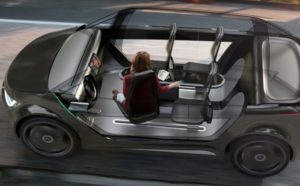 GM predicts that their business and personal mobility will change more in the next 5 years then it did in the last 50. Current predictions show that accidents could be reduced by 80% by the year 2040 when all the current and future technology is implemented and finds its way to all the vehicles on the road. 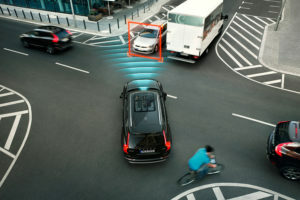 Blind spot detection, active braking, lane assist, lane keep, collision warning and many other technologies are taking the driver father out of the driving equation, and the results are safer vehicles. 90% of all motor vehicle accidents are caused by human error, resulting in over 1 million deaths, 15 million injuries and $500 billion dollars in damages worldwide. Many manufacturers are now advertising their brand, stressing the safety in their vehicle lines. 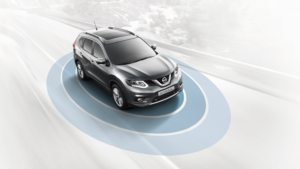 Nissan has “Safety Shield Technologies”, Mazda “Active Safety Technology”, and Mercedes Benz “Intelligent Drive” are just a few of the current themes that are pushing safety and features that incorporate new technology into their vehicles. These same technologies will be integral to the autonomous vehicle. 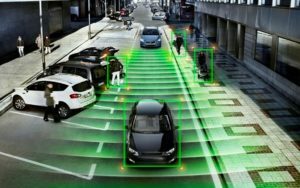 The National Highway Traffic Safety Administration (NHTSA) in the US has created a set of guidelines that layout and describes what they see as the five levels of autonomous driving. This is the basic car form the 1970’s. The driver is in complete control of the steering, brakes and throttle. This is a semi-autonomous level that means the driver controls most driving functions but some can be done automatically. Adaptive cruise, parking assist, lane keep are all examples, but the driver must be ready to take control at a moment’s notice. This level requires at least 2 functions be automated. Adaptive cruise and lane keep don’t require the driver to touch the throttle or brake, and no hands are required on the steering wheel, so at this point the driver is not physically operating the vehicle. Level 2 still requires that the driver be able and ready to take control of the vehicle if needed. The driver is still needed at this level, but the vehicles operation is autonomous under certain conditions (highways). This means the driver does not have to pay attention as in the previous levels. The manufacturers want to skip this level as they don’t feel the driver will be paying enough attention to fix a situation if the vehicle decides to transfer control back to its human interface. This is the fully autonomous level. At this level the vehicle is designed to perform all the safety-critical driving operations, throttle, brakes, steering, for the entire trip. It must also monitor road conditions and not expect the driver to intervene or control the vehicle at any time. This level could include driverless vehicles, as they will be expected to do all the functions of normal driving, even parking. Tesla states that they will be at this level in 2018. The SAE also has a level 5, and at this level, the vehicle doesn’t have any steering wheel or pedals and so has no option for a driver to intervene. Many think that this list of levels will be reduced to three levels: automated, autonomous and driverless. Google went before the regulators in California to promote the fully autonomous self-driving car, stating that a driver actually increases the likely hood of an accident because people just aren’t that dependable. They were denied, but for how long? GM still wants to have a steering wheel and pedals but when will this change? 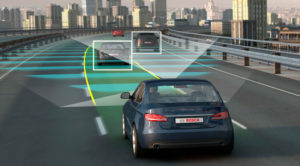 The next generation of vehicles is going to be loaded with sensors: forward radar sensors for short, long, medium and multi-range, dual forward facing cameras creating a stereoscopic view, rear radar sensors from the corners and the middle, 8 to 10 ultrasonic sensors to help with parking, as well as side and rear facing cameras. All of this technology will be linked to the systems on the vehicle. 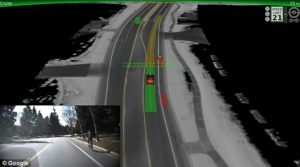 The powerful computing system will be able to apply the brakes harder and faster than a driver if someone steps off the curb, or backs out of a driveway. It will be able to detect a car that is slowing down in front of you in traffic far faster than you could and start to slow down. It will likely even be able to detect bumps in the road and adjust the suspension for a more comfortable ride. 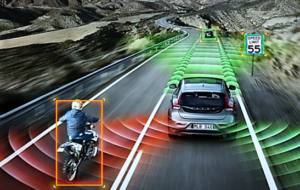 Blind spot and cross traffic intervention both forward and rear will be taken care of by the sensors output and the decisions that are made by the software and transmitted to the operating systems of the vehicle. But other changes are going to have to take place before we jump right into the self-driving car or truck. Education on what a self-driving vehicle is capable of doing and not doing is going to be very important. The dealers are going to have to carefully explain all the features and technology and how it works, LCD screens, navigation systems and all the acronyms (LDWS, LKAS, ACC, ICC, AEB, BLIS, this list goes on…) that are included as standard features will have to be explained in great detail. They will likely have to start some form of training program to prevent accidents and lawsuits that could arise because a system wasn’t properly described. As we phase in self-driving features, we are going to have to make sure that the driver is still alert and paying some attention. Monitoring the driver that is dozing off and awakening them will become a priority; because when we assume the vehicle is driving for us, we pay less and less attention to the road ahead. This is one reason that Google wants to skip right to level 4 and eliminate the driver completely in their fleet of vehicles. They found that the driver isn’t attentive enough and lacked the alertness to respond to a situation as fast as a fully automated system. Our roads and infrastructure are also going to need upgrading and will require significant maintenance. The visual system that keeps the car in the correct lane relies on the lines or other markers being visible on the road under all conditions (rain, snow, darkness). 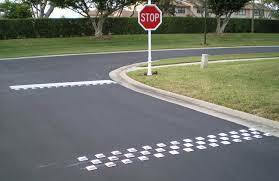 Lines may be replaced with Botts dots or Stimsonite markers raised makers that are snow plow resistant. The speed limit, and other road signs that the forward cameras detect need to be in good shape and at standard heights as well. 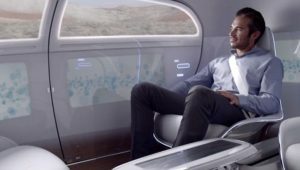 Our lives today are busier and more connected than ever before, and, if, during a commute to or from work the commuter could perform work that would otherwise be done at home, it is likely they will embrace autonomous vehicle technology. Ride-hailing apps like Uber and Lyft have caused major changes in the taxi industry, but imagine what will happen when the Lyft and Uber cars are driverless. This technology will also be a great help to people that can’t drive, including the blind or the physically unable. Despite all the technological advances, don’t expect the fully autonomous self-driving car to just become a reality overnight. There are going to be a number of hurdles that will have to be jumped over before it becomes a reality. Government regulation and cooperation on many levels is going to be required and the hack ability of software and hardware security will have to be addressed. An endless group of other secondary situations will have to be open to adapting to the technology, from insurance companies to parking lots and supermarkets. Experts agree that it may take about 25 years, or one full generation, to transition to the fully autonomous driverless fleet of vehicles. But the semi-autonomous vehicle arrived much faster than expected and that wasn’t what the manufactures expected at all. “It’s not enough to throw some sensors and software on a two-ton projectile and say ‘Look, Ma, we made it smart,’” says Jamyn Edis, CEO of Dash, an automotive software startup based in New York City. This is going to take some time. 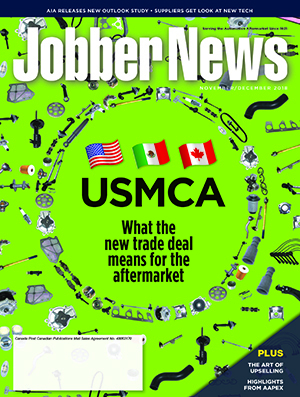 Jeff Taylor is a frequent contributor to CARS magazine. 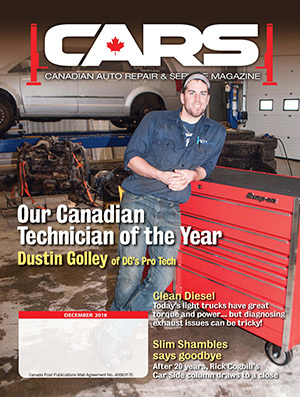 He is lead technician at Eccles Auto Service in Dundas, Ont., and a previous winner of both the Canadian Technician of the Year, and the ACDelco Technician of the Millennium.